We focus on distinctive and refreshing design ideas, tailored to suit your unique style and budget. Ethos Interiors is proud to be a multi-disciplinary firm offering services in residential and commercial sectors, all over Queensland. As a boutique firm, we are able to provide personalised service and creative design concepts, working closely with you, your builder, architect or trades to achieve your dream space. Dean Powell started building new homes in 1996. 21 years, and 25 industry awards later, Dean is still building Townsville new homes with the same pride and enthusiasm as when he started out. We are one of Townsville’s most trusted builders with a reputation for meeting promised timelines and keeping costs under control. The attention to detail and the loving care our committed team demonstrates has earned the respect of our clients who enjoy a stress-free home building experience. While offering an impressive choice of floor plans and facades, we believe the successful completion of a project is the joy a client expresses in realising their dream has come true. We believe communication is key. From the very first meeting our clients are reassured of our commitment to deliver a customer experience which will exceed their expectations Let us give you the guidance and direction you need for building your desired dream home right the first time. Turek Road Interiors is a Design House specialising in all areas of Interior Design, Decoration and Styling. Turek Road source the world for beautiful Objects, fabrics and products with connections Australia wide we can bring the very best the World of Design has to offer to North Queensland. Established in 2003 Turek Road Interiors has cemented itself as the go to Design Team for those seeking an individual tailored design suited to our lifestyles. We offer an affordable solution to make your property as appealing as possible to your potential buyers so that it sells quickly, for best price and with the least stress. Catering for all budgets we supply contemporary and classical style furniture and decor to suit all home styles. 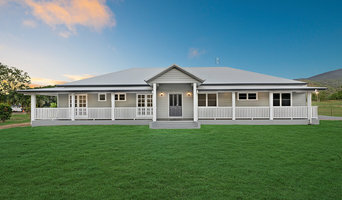 Samford Homes is a proudly based Townsville business that specialises in Timber Framed and Cladding Homes; Off the Plan and Custom New Home Builds; Traditional/Heritage/Cottage Inspired New Home Builds; Large and Small Home and Business Renovations/Alterations and Extensions. With over 15 years in the building and construction industry, you can be sure Samford Homes goes Above and Beyond in all aspects of construction, craftsmanship and customer service. High quality photography with a special interest in architecture and contemporary design. 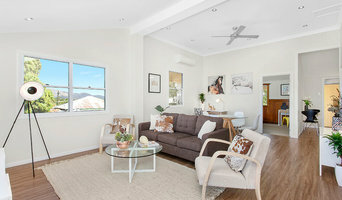 Townsville based small business specialising in preparing and presenting homes for sale. Established in 1991 by Mark and Lisa Hall, MHBD continues to be at the forefront of innovative and sustainable building design with a focus on client servicing. Boasting more than 30 years of industry experience, MHBD are the experts in all aspects of commercial and residential design and areas that may impact building projects. Thanks to this extensive knowledge, MHBD able to provide valuable advice that can make a big difference to the design and building process. 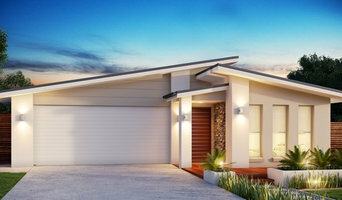 Ritzco Homes is a small residential builder in Townsville, We are a small and personal team who are dedicated to persoonalizing your build to make your dream a reality. stralia. Ritzco Homes specilizes in custom designs, there is no restrictions we can do any size, any style, any design, any budget, MAKE AN APPOINTMENT TO SIT DOWN WITH THEM TODAY AND START WORKING ON THE PERFECT DESIGN FOR YOU. 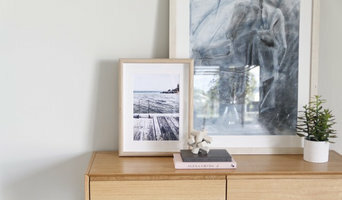 Kristee’s Interiors is a Townsville based interior design company headed by the creative mind of Chrisse Taifalos. We can deliver a total design service from smallest to the largest design projects. Whether the job is as involved as a complete renovation or even start-from-scratch construction or as small as selecting paint colours for a home or how to achieve the best layout in a tight space, we have the know-how and resources to achieve your goals. We can consult with you as to what colours, materials, fittings and fixtures will suit your budget, taste or clients’ needs, saving you the time, money and headaches so often invested in making these decisions. We look forward to working with you. Special Christmas Deals Book in before Christmas to take advantage of some awesome deals: - House Repaints (Internal and External) 30% off - Roof Painting 50% off - Book in for a full Interior Repaint and get an Exterior Wash Down absolutely FREE! Attention All Owners of Apartments / Hotels / Motels etc. Sign NQ Smart Coatings up for your on-going maintenance work we will offer you a discounted hourly rate of $50 per hour plus cost of materials. NQ Smart Coatings is a locally owned and family operated company servicing Townsville and its surrounding areas for over 10 years. We specialize in wide range of painting and custom coating requirements. We offer a high level of professionalism and workmanship with every project we undertake no matter what size, whether it's residential, industrial or commercial. We are committed to deliver your next project on time and on budget. NQ Smart Coatings is fully licensed and insured so you can feel safe with your project in our hands. All of our services include a warranty and we have ongoing maintenance packages available to ensure your new investment is always looking fresh and clean. At Gedoun Property Group, we know that building your new home is one of the biggest decisions of your life. That’s why it’s important to build with confidence. With over 40 years experience in new home construction in Townsville, we understand it’s more than just building a house – you are creating a better life for your family. Reach out to multiple professionals — especially for larger projects — and don't settle for the first bid you hear. Comparing multiple Townsville, Queensland professionals' bids and experiences can help you find the one that’s best for you. Ask a lot of questions now, so you won't have unexpected answers later. Find a home design professional: Narrow down your search by type of professional and location. Browse Townsville, Queensland portfolio photos, read client reviews and contact each Townsville, Queensland professional for more information. Check out the information in the specialised professional sections too for tips on how to hire the right professional in Townsville for your project.